is here and you can get it in the market and on-line! 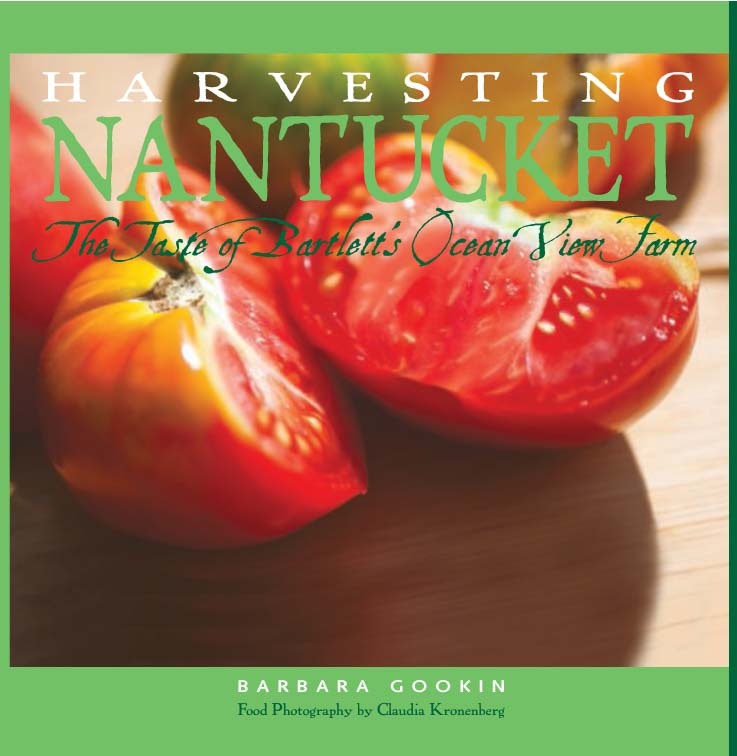 This 128 page hardcover book includes farm history, mouth-watering photographs and 75 recipes that feature Bartlett's Farm Grown produce. 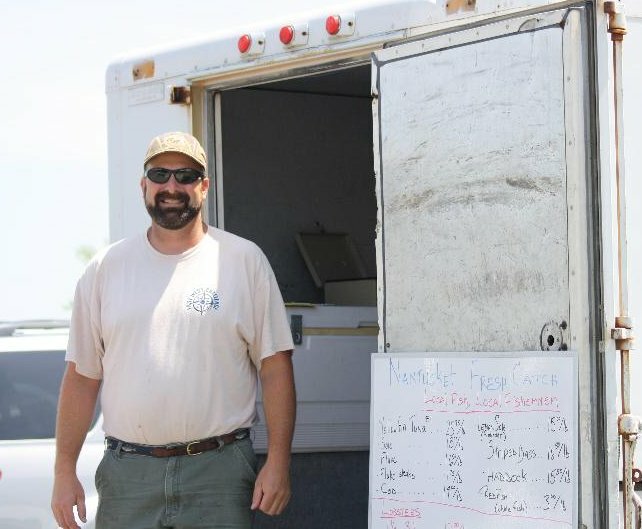 Nantucket Fresh Catch sells locally caught fresh fish in the parking lot here at the farm. Owners Joan Skar and Jeff Henderson provide fish from the Ruthie B and from local fluke and striper boats. You can find them in the lot Thursdays, Fridays, Saturdays and Sundays from 12-6. The Ozone Surf Classic will be held right down the road at Cisco beach on Sunday August 7th. Stop by the farm for food and refreshments before you go! You'll need lots of grab and go sandwiches, fruit and drinks to stay hydrated throughout the day! Cool Beach Toys Made Just Up the Coast in Maine!! 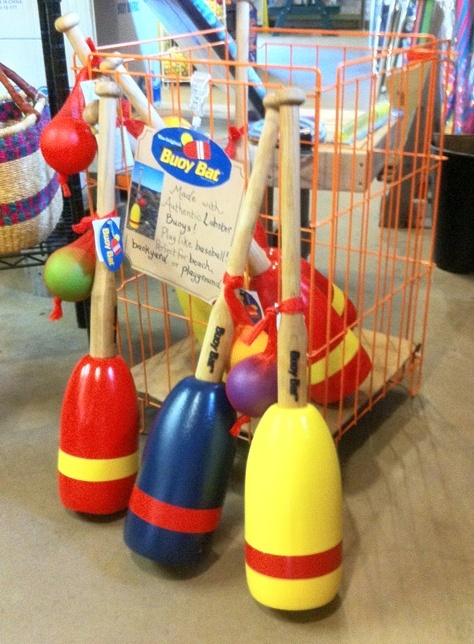 made from authentic lobster buoys! Many folks don't realize the Massachusetts has a thriving peach business! The spring out here on the island makes peach growing difficult, but we can support Massachusetts growers who have friendlier growing conditions. 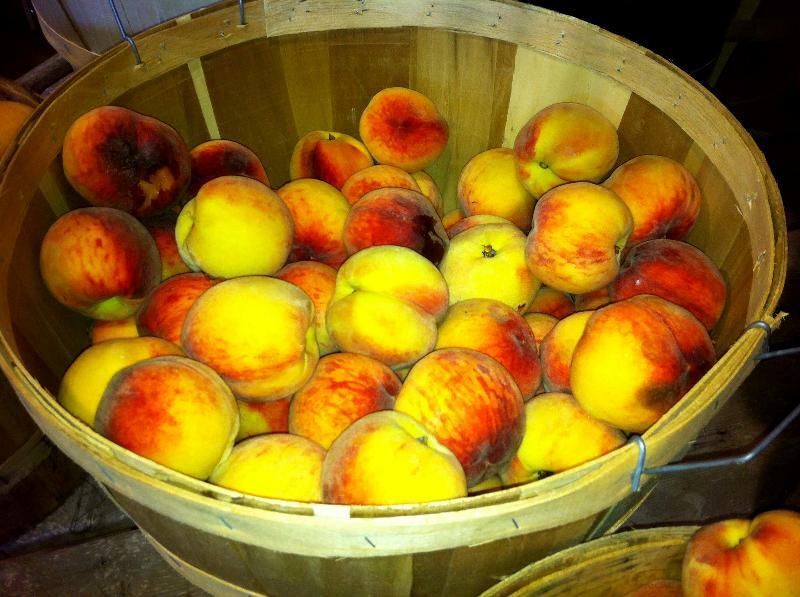 Carlson Orchards in Harvard, MA grows peaches and we have been enjoying them almost every day! Dee-licious! on August 23! The cost is $40.00 per person. under the tent at the Farm. YogaFarm with Joann Burnham. Tuesdays and Thursdays at 8:30am and 5:30pm and Sundays at 4pm.